The simplicity yet elegance of this outfit amazes me. You look absolutely gorg! i like your cardigan, it's perfect for summer! Oh weeeeeeeeeeeee - How cute!! I just love the mix in colors!! Trop joli ton pull, superbe couleur! Lovely colors and you look great !! You look adorable, I love the colors! Can I have your earrrings, hahah :) They are so cute...nice outfit too! The pastel colors are pretty. Thank you girls! So sweet of you all!! These pastel colours together are so pretty! The earring is gorgeous, so in love with it! i'm lovin the pastels on you! the orange and purple go so well together, but are such an unexpected combo! Wow your Oufit is really awesome! I love everything! 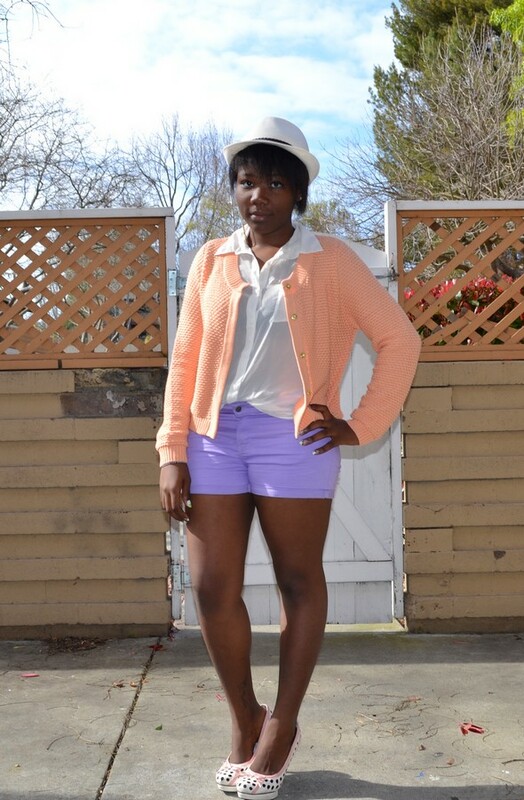 The cardigan is awesome and your shorts too! Perfect combination! Amazing shoes and such a great inspiration! J'aime bcp ton gilet et ton boucle d'oreille ça te va trop bien! You have such a cute blog. 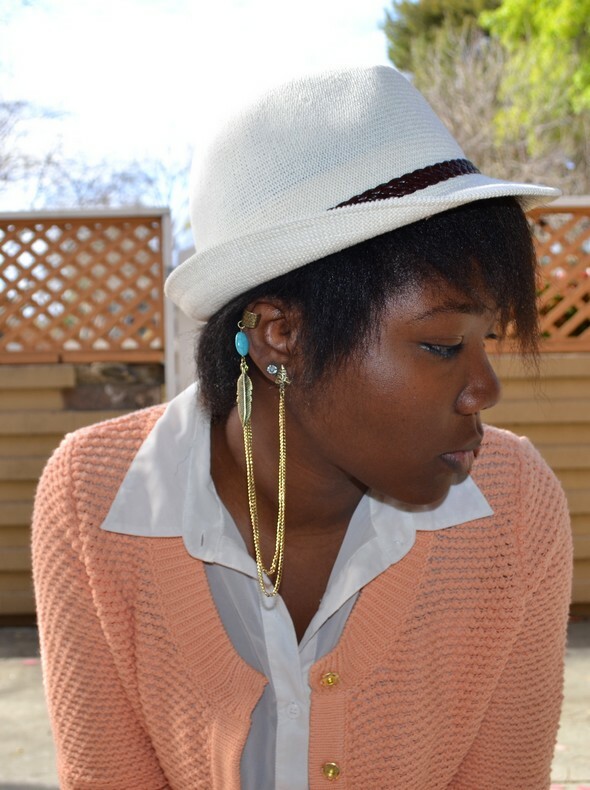 Great mixing of pastel colors. You look lovely. Jolie association! J'aime ton gilet dont sa couleur!! Sie agieren in den letzten Tagen übertrieben ernährungs- und gesundheitsbewusst. This color combo is WINNING! Hey Beautiful, your outfits always look well coordinated and stunning. Love love the colours in this one. Shoes are hot! Loving all the pastels!